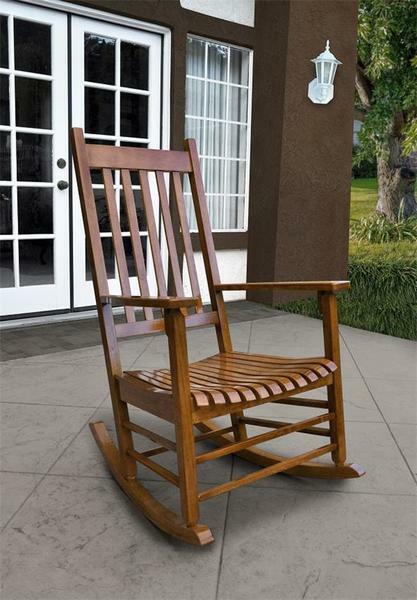 Relax and wind down with the Vermont Porch Rocker available in black, white or oak brown color. Your worries and stress will melt away as you sip your ice tea and rock on the front porch. This rocking chair is perfect on front porches in Vermont, Texas or Florida. 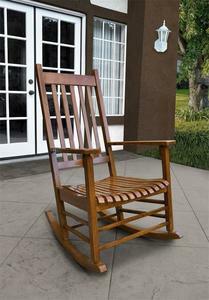 Wherever you live you are sure to love your new outdoor porch rocker! Call today to get an order started or check out using our safe and secure online check out.